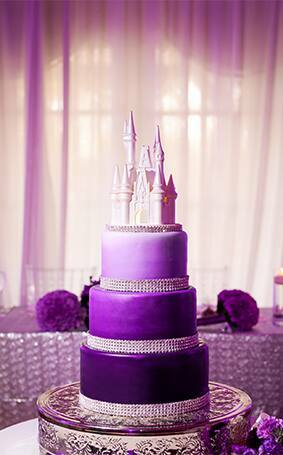 I love anything ombre- especially when it's a purple Walt Disney World Cinderella Castle cake! This three-tiered beauty transforms from the deepest of purples to a soft shade of purple pastel. It's a simple yet unique concept that will have you standing in awe. And of course no Disney cake is complete without a Cinderella Castle cake topper to finish it off with just the right amount of magic. 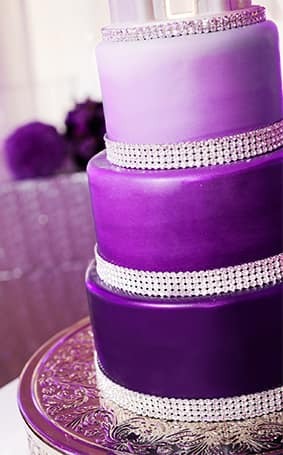 If you're considering an ombre cake for your own Disney's Fairy Tale Wedding, you simply can't go wrong- because if this isn't a work of art, I'm not sure what is!